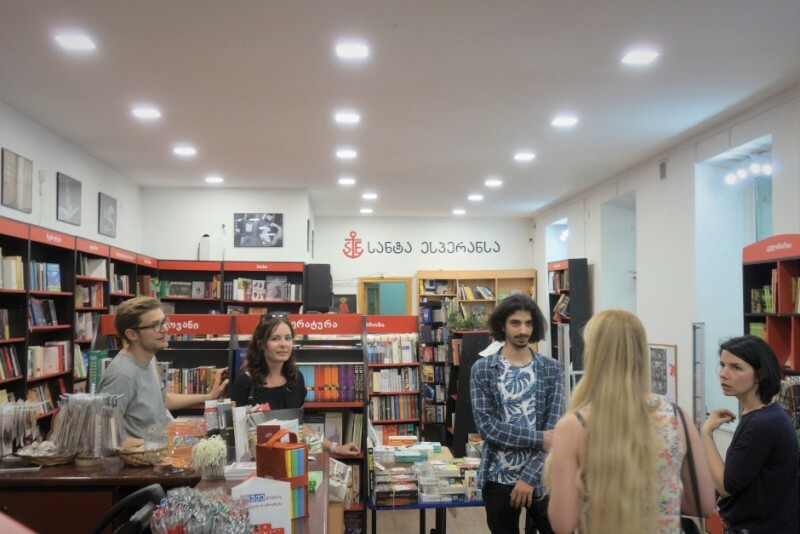 Your parents own a publishing house – and then decided to open a book store? When? How? What’s wrong with Biblisi – the existing bookstore chain? The publishing house was launched in 1999, back then there were only few bookstores, Santa Esperanza was my fathers idea, he wanted to change how bookstores operated – from old soviet way to more western type with more costumer oriented and friendly staff and a better system with a good atmosphere for the readers (at that time there were only one or two other bookstores that had the same type of service). The first branch of Santa Esperanza was opened in 2005 at first it also had a café, so our customers could read the books in a cozy space, unfortunately the café didn’t work out and we took it out from the original concept. Later in 2008 Santa Esperanza already had few branches in Tbilisi. The Biblusi bookstore opened in 2008 and became a chain in 2010. After few years, at around 2012 the demand on books dramatically increased in Georgia, due to a rise of our economy and Biblusi chain caught the wave and now they have over 50 stores around the country, we noticed the trend later and started to open our branches in other parts of the city as well as in other cities. I wouldn’t say that there’s something wrong with Biblusi, they have been leading the market and have been quite successful, Our shops are just different in few details, for instance all of our staff are huge book enthusiasts and they always know what to recommend I’m not saying Biblusi doesn’t have a competent staff but we try to be a little bit more concentrated on it. 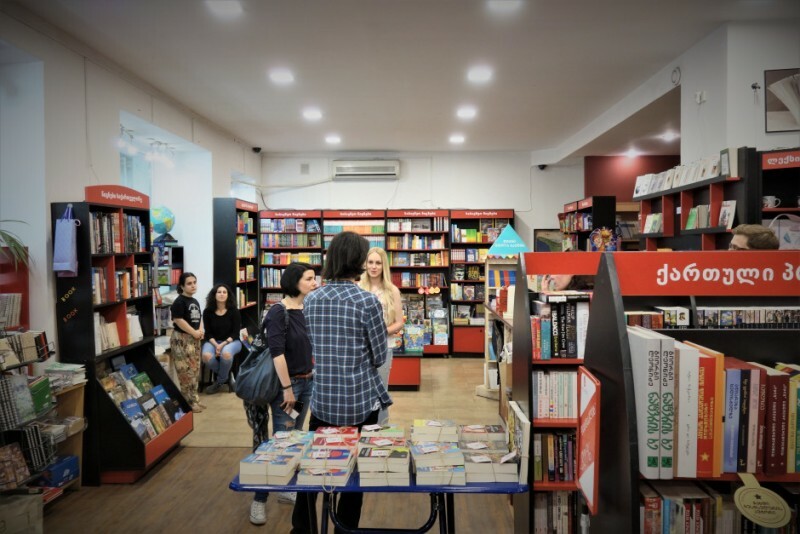 The design and assortment are also different between our and Biblusi bookstores which gives more variety of options to the readers in Georgia. When I was kid in the 80s and 90s, my parents weren’t rich and didn’t go to university. Books were a promise to… class mobility, learning and prestige: Kids my age read classics like Jules Verne because their parents thought that this would make kids “cultured” and prepare them for university etc. Similarly, it was en vogue to learn classical instruments. Today, that shifted: Most parents think it’s more important to teach programming skills to their kids, or languages like Chinese – practical and economic and technical stuff. In second-hand book stalls in Georgia, I saw lots of “How to learn German” books, or programming guides etc. : pragmatic guide books. So my question is: What’s the “prestige factor” for books in Georgia? Do people love practical guides, manuals, books that teach skills? and/or do people (still) think “If I teach my kids about poetry and classics, they can move upwards, econimically?” Is it important to seem “cultured”? Are books important for class mobility – or do only rich & bored people waste time with literature? When I was a kid I loved to read the classics and studied playing violin, and I can say the same to a lot of people my age and I’m quite sure the trend hasn’t changed that much but there are kids that want to learn how to code and others that want to learn new skills that will be in demand in the upcoming years and the popularity of smartphones and access to the internet has introduced new generation to a lot of new options that we didn’t have. But of course, I can’t be writing all of these on behalf of all people and I’m sure there’s a huge diversity in how parents raise their children and what kids are interested in. I can just hope that there will be more or at least the same amount of readers in the new generation, as there was before. Lots of contemporary Georgian authors say that they don’t like Georgian classics because of the flowerly language and endless “philosophical” digress. Are the classics still interesting? When did authors shift from verbosity to cleaner, shorter storytelling? 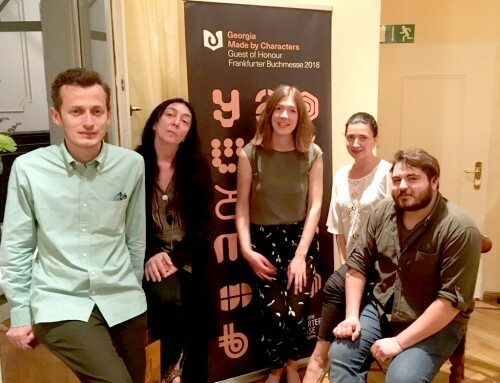 A lot of classical authors are still thought in schools and older generations of Georgian readers still adore them. Based on the sales teenagers and people in their 20’s are mostly reading modern foreign and Georgian literature on their spare time, But classical work still concerns the problems we have in Georgia today. Most of the authors started writing more contemporary work in 90’s, mostly because there were restrictions during the soviet regime and before being published, books were checked if they included something that opposed the socialist view, with the end of soviet era the restrictions went as well and authors had more freedom to write about what they truly wanted. Are there Georgian books that you’d love to see translated into English or German? Are there international books that you’d love to see translated into Georgian? Is it only “big” books, bestsellers or classics that get translated into Georgian? A lot of modern Georgian books are being translated into German and I often hear that it’s becoming more and more popular in Germany which really pleases me and I’m sure the same trend will catch up to English speaking countries, as for the Georgian side, due to the increase in the readers publishing houses translate more and more authors modern or classical, but we still have some time to catch up, especially in segments outside literature, such as science and art, these types of books are mostly sold in English and I hope to see them translated in Georgian soon. 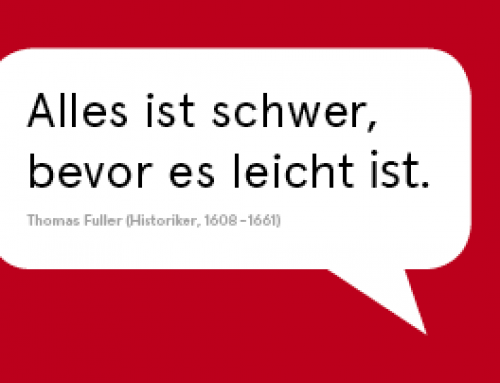 German literature is unfortunately not as popular as English, but I can’t say there’s no demand. We have quite a lot of German authors translated to Georgian form classics such as Goethe, Thomas Mann and Herman Hesse to Modern bestsellers such as Vermes and Gunter grass. 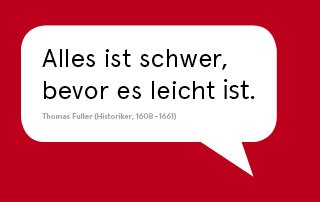 I think few novels of classical authors are being thought in schools, especially in German language oriented ones. Can everyone read Russian? Are there current Russian authors who write good/interesting books about Georgia? I think everyone that lived during the Soviet Union can read in Russian, but a lot of people my age either don’t know it at all or don’t want to do anything with it. As for current authors I can’t recall any of them. Due to the conflict with Russia, modern literature barely gets translated and I don’t think there’s anyone upset about it. What’s something you wish everyone would know about Georgia? And what are typical, most ignorant questions? I guess it would be a good start if everyone knew that we exist, that Georgia is not only a state in U.S. and if they knew that there’s a small country called Georgia they won’t associate it with Russia. I think Most of the questions that bothers Georgians is related to Russia, such as if were still part of it or just don’t knowing that 20% of Georgia is still occupied by Russian forces and we have no access to those parts. In Tblisi, there are many second hand books sold in the streets. Who buys them? Are they popular? A lot of them look REALLY worn-out and irrelevant. During 90’s and early 2000’s there were a lot of people selling stuff in the streets and most of them didn’t have permits which was not a problem we didn’t have laws enforcing them, after such laws got introduced most of the people had to either rent the space or do something else, the only exception was books, so most of the traders started collecting second hand books and selling them in the streets. Those books are mostly the ones that are out of stock in the bookstores and they are the only other option for someone to get something that hasn’t been published for a while. Of course, there are a lot of irrelevant books in them which rarely get sold but if there’s something you can’t find in the stores those street vendors are your last hope. All the Georgian authors I’ve talked to love festivals. All the Georgian authors I’ve talked to hate that during festivals, there are very, very cheap editions of their books, so they don’t make much money? We don’t have that in Germany: What kind of tradition is that, and is it important? Do people go to festivals and buy 50 books they couldn’t afford before? I’ve never heard of that so unfortunately I can’t be sure if it’s true or not. During the festivals publishing houses get a chance to sell their books directly to the readers so that way most of the books are cheaper and more available. A lot of people go to the festivals for that reason and some of them buy a whole year’s supply of books during that time. Why isn’t Amazon important in Georgia? What about e-books? Piracy is huge in Russia. In Georgia, too. Amazon doesn’t deliver in Georgia and for someone trying to get something from amazon they have to use freight sipper. It adds a little more price to the sipping but it’s not as useful as it is in Europe or north America. Some people read from e-books, but I guess reading from paper and the feeling of owning a book is more than enough for someone to be convinced of just buying the actual book. As for the piracy, it’s huge in Georgia too, but I’m sure books are rarely the case, maybe only the ones that consumers can’t find anywhere else. Are there horrible bestsellers? Right-wing stuff? Popular books you wish weren’t popular at all? Are there books that Santa Esperanza don’t sell – because they’re right-wing, for example? We’re against Nazi and Communist propaganda, so you wouldn’t be able to find anything that comprises such literature, for example “Mein Kampf” and “The Communist Manifesto”, but other than that I can’t recall anything that would be dreadful or unpleasant. Are there local fantasy or scifi authors? There are few. Some time ago there was a contest by one of the publishing houses where new authors could turn in a children’s fantasy books and few of them got published, I personally haven’t read them, but I’ve heard some good reviews about them. You’ve studied in America? Is there something that you eny about the US and wish that Georgia had that, too? Is there something you really disliked about the US and thought “I hope Georgia will ALWAYS have that and never lose it”? Envy is a strong word, but I do really see the difference in customer care and satisfaction, Georgia has some catching up to do in that field. Of course, there are many other factors that I wish were the same and I hope we’ll get to that level of development soon, but there’s also this feeling of belonging I get when I’m in Georgia, I think it’s due to the people, it’s impossible for me to explain but I’m sure whoever decides to come here will leave with that feeling too. Is religion and orthodox ideology still an important topic in Georgian storytelling (and TV)? It really is, even though our government and constitution says we’re a secular country, the opinions of the religious (orthodox church) members strongly matter due to the fact that a huge majority of people look up to them and there are members of the church that use their power unwisely and aim it to the issues that they shouldn’t be concerned at all. What Georgian authors can I follow online if I don’t speak Georgian? What book blogs? Do you have Instagram recommendations? A lot of Georgian authors have side jobs: they work as translators, teachers etc. : What are the coolest or most interesting, surprising side jobs? A lot of authors are proffesors at different universities and some have their radio podcasts. One of them that I think has a really cool Job/Hobbie is Archil Kikodze – he does photography tours of wild birds and animals. Georgia has quite a few natural parks and protected areas which are full of endemic wildlife and they’re definitely worth seeing and capturing on camera.